As you may already know, we are in the process of arranging an inter club V8 series. This was originally going to be between Flatout and Mara but thanks to an introduction to http://www.core-racing.co.uk/ from Andy Roberts and with upcoming talks with Simracers.PL we hope to have four teams fighting for the title. We are planning a test race using Mara E's server on Wed 12th of Sept to test the server for large driver numbers and to get a chance for all teams to test the format together. We would very much appreciate it if you could try and take part in the test race, as well as wetting your appetite for whats to come it will also help test the server for high numbers. All races will be a standing start. TRACK PARAMETER RULING: "NO CUTTING" - "KEEP AT LEAST TWO WHEELS ON TRACK AT ALL TIMES"
What, no slippers and smelly pipe? All I need is the track, the mod I got the last time it was posted. Same problem Erik, but I turned AVG off, doubt that this was correct. Thx Adam, great work, looking forward to this one. These V8's are awesome. Tom Ilsbroux wrote: Same problem Erik, but I turned AVG off, doubt that this was correct. I tried that too and it didn't work, but now it does Thanks for the download Tom. 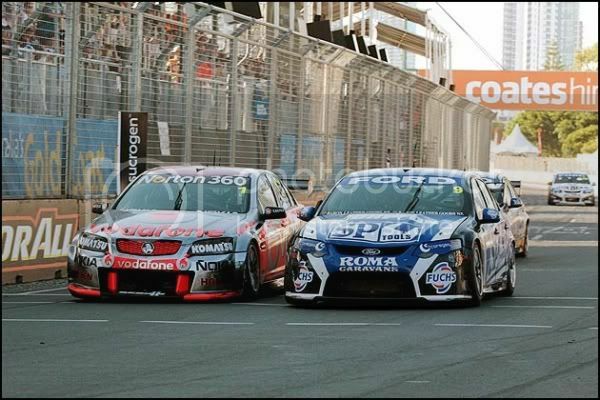 This is a test race as a prelude to the V8 season am I correct ? Where can I find the details concerning the Mara Europe server ? No worries Tomasz, I will be passing all the info including passwords etc to Marek at Simracers.pl to pass on to all interested drivers. Hi Tomaszn, We will have a open server up soon here at flatout, you are always welcome on it. sure I'll be here ! I get a SKY.MAS file error with this track. Do you know how to fix it? You have the correct folder structure ? Maybe you have put the Ledenon_2008_V1.0_rFactor folder also in the locations folder. Yes - that's exactly what I did One folder too much from the track archive. Thanks Tom - now I can join the server without errors.